Pandan chicken is a super-easy starter for your menu. 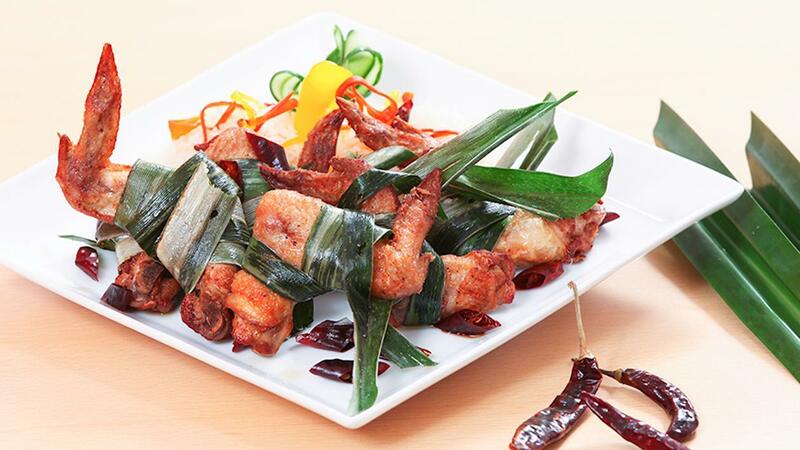 The chicken is wrapped in pandan leaves and then fried; view the full recipe below to see how our products make this dish stand out. Blend KNORR Chicken Seasoning Powder, coriander leaves, curd, red chilli powder, turmeric powder, curry powder, ginger garlic paste, tamarillo, curry leaves and black pepper. Coat chicken with the prepared marination, allow to season half an hour in the refrigerator. Marinated chicken nicely wrap with pandan leaves. Deep fry until chicken is golden brown and done.